What a perfect tea creation to sit back and relax. 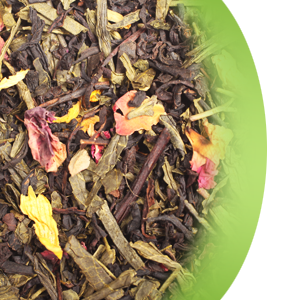 Combining both leaves of black and green teas, notes of peaches and fresh roses, this blend satisfies with mild, sweet taste, and lingering exotic, flowery sensation. One of all-year round favorites.